Our CEO, Janet Miller, has been with us for a year. Happy MOLAversary! It’s been an incredibly busy and exciting year. In this blog she shares some of her highlights. I came to MOLA already inspired by the long heritage of impressive work of the world-class team here, from ground-breaking research and citizen science projects, to involvement in those major infrastructure projects that are literally shaping the future of the UK and helping to train the archaeologists of the future. For me archaeology is such a rich, multi-facetted discipline that provides so many opportunities for society today. We published our first Impact Report at the end of last year, showcasing some of the work of done by our experts and partners in 2016-17. Here are some of the highlights from our Impact Report that I am particularly proud of. I’m a strong believer that archaeologists’ raison d'être is to generate knowledge, not just to amass archaeological material. We have a strong record of publishing, lecturing, talking and engaging – getting that knowledge out there to benefit people and society. 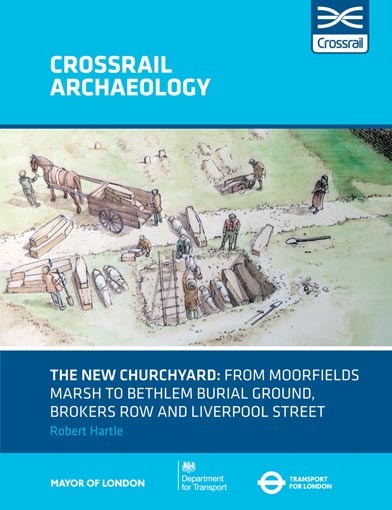 We partnered with 20 academic institutions around the world on multi-disciplinary projects; we deposited 125 archives in public repositories making them available for future research; and published 11 books and 43 journal articles, including 7 Crossrail publications sharing the results of our ground-breaking research covering all of London’s historical periods. For me, one aspect of archaeology that is under-played (not least by archaeologists) is its relevance to people today. 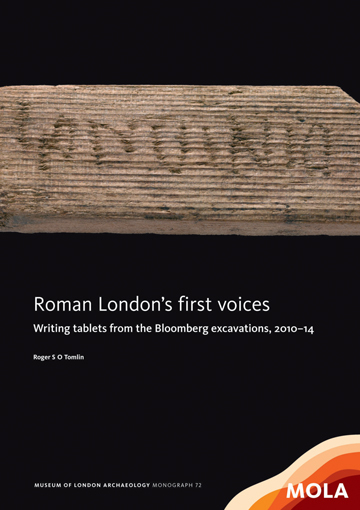 The astonishing findings from the site of Bloomberg’s new European headquarters include 405 waxed-writing tablets. These tablets reveal what life in the first years of Roman London was like, from trade and financial dealings to personal details, like the names of the merchants, soldiers and even slaves that helped to shape our capital city. But just as importantly, archaeology such as this speaks to the themes of our contemporary world, such as diversity, migration and what it means to be a world city. We shared these results and many more across our channels, with millions reached through social media and many more with the help of the media so that people across the world can explore our discoveries and research too. I am a particular fan of this Making the Mithraeum film, which has already been viewed over 6,000 times and the Channel 4 series, Britain at Low Tide, inspired by our Heritage Lottery Funded CITiZAN project. Professional archaeologists are privileged to be able to engage with archaeology on a daily basis but we don’t own it, we work on behalf of society at large. Many of our projects provide networks and training for citizen scientists and communities to participate and contribute to this knowledge generation. I’m delighted that 1,000+ citizen scientists joined CITIZAN and 845 new archaeological features were added to the CITiZAN interactive coastal map. 1,044 people took part in fieldwork and events with the Thames Discovery Programme and 104 new FROGs (Foreshore Recording and Observation Group) were trained. This is only the tip of the iceberg of the work being done. I’d like to thank and congratulate our partners, supporters, clients and our in-house experts for these achievements. I look forward to sharing the results of our next Impact Report later this year but in the meanwhile follow my updates on Twitter.